Our partner school in Porto, Fast Forward Language Institute, is a very well-known language school operating since 2004. 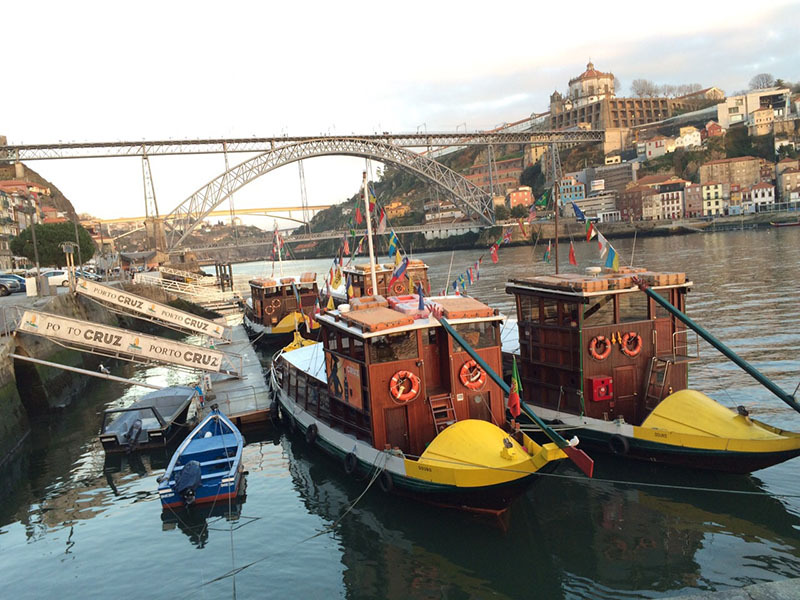 The school is located right in the heart of Porto, just a couple of minutes walk from the River Douro. Fast Forward is located on the second floor of a commercial building with great facilities. There are many amenities, restaurants and cafeterias near to the school. The intensive course consists of 20 or 30 lessons per week from Monday to Friday. Lessons are focused on developing language skills (speaking, listening, writing and reading) in real situations of communication. The price stated here is for an airport transfer upon arrival at Porto airport. In 2019 the school is closed on 01/01/2019, 05/03/2019, 19/04/2019, 25/04/2019, 01/05/2019, 10/06/2019, 20/06/2019, 24/06/2019, 15/08/2019, 01/11/2019, 25/12/2019. Missed lessons due to bank holidays will not be refunded or rescheduled. The combined course consists of 25 lessons per week from Monday to Friday (20 group + 5 private lessons). Group lessons are focused on developing language skills (speaking, listening, writing and reading) in real situations of communication. During the 5 private lessons, you will be able to tailor your learning to your own requirements, improving your knowledge about the Portuguese language in specific areas, or just practicing your oral skills with dedicated, personal tuition. Porto is one of the most famous destinations in Europe to practice surfing. This programme consists of 20 Portuguese lessons and 5 surf lessons (1.5 hours per lesson) per week, from Monday to Friday. The surf lessons are taught at Matoshinos, around 25 minutes by public transportation from the school and host family. This programme consists of 20 Portuguese lessons + 5 surf lessons per week (1.5 each lesson). The price includes wetsuit and board. This course combines 20 lessons of Portuguese per week with wine sessions in the afternoons, held on Mondays, Wednesdays and Fridays. You will have 6 wine sessions in total, regardless whether you choose the 1 or 2 week programme. If you stay only 1 week, you'll have 2 hours of wine sessions divided over 3 days, and if you choose to stay 2 weeks, you will have 6 sessions in total of each 1 hour. The program includes visits to locals wine cellar and winestores. This course is designed around the student's specific linguistic skills, his or her professional or social needs and personal expectations. Flexibility is the main feature of this course. As the only student in class you decide the content of the course. The private lessons are recommended above all for students with only a short amount of time available. Host families in Porto are a great opportunity to improve your oral skills whilst taking a Portuguese intensive course. Our partner school has a great selection of host families which have been collaborating with the school for many years in some cases. You can book a single or twin room with board based on bed and breakfast. Twin rooms are only available for 2 people travelling together. You do not have access to the kitchen with this option. Host families are mostly located 20-30 minutes by public transportation to the school.